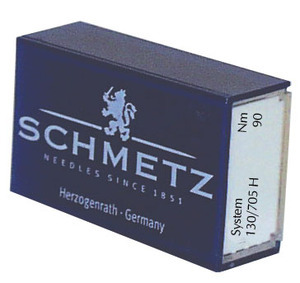 SCHMETZ 15X1 universal needles nickel plated: General purpose needle for knits and woven fabrics. Has a medium sharp point. Available in sizes 70, 80 or 90 ,with 100 needles per box. Universal needles are "vert light ball point" and can sew most wovens or knits. Size 90/14 is the best size for general sewing or serging.